Can't see the pic at work( very tall firewall). Are you looking for the A body upper control arm splash shields? If yes they are readily available cheap with the staples/fasteners. Most any GM A body resto part supplier carries them. The Vette suppliers carry both types of fasteners, push in plastic and SS staples, so should the A body suppliers. 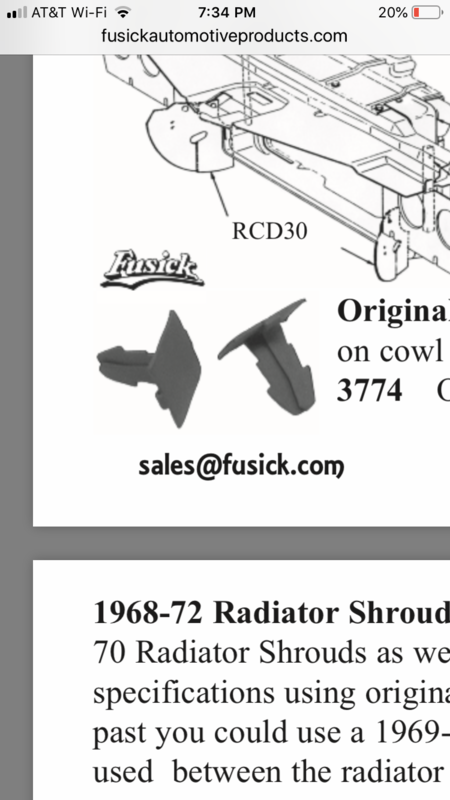 Fusick also sells the metal clips. Ahh, I see the pics now that Im home...you want the radiator to core support seals and fasteners for a 65. Not sure on the material or fastener specs for a 64-65s. I assume you've called Fusick, Year One, OPGI etc...??? Did you look at other GMs of the era...Buick Pontiac Chevelle? Most everything for a GTO/Chevelle/Camaro/Vette is reproduced. As mentioned in my previous post it could be used on Vettes, (the fasteners that is ). 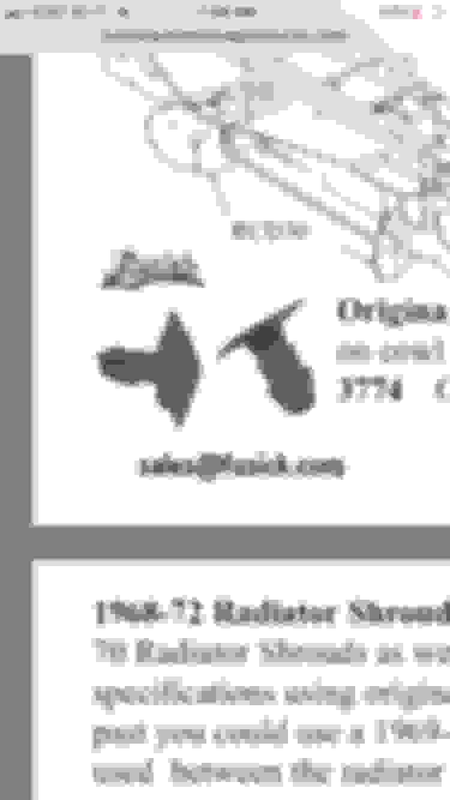 Corvette Central, Ecklers, Mid-America are just a few suppliers I use. I do know the A-arm dust shields in an early C3(68 or 9) is the thinner material similar to the Olds core seals. You could order a set and cut straight strips from them...I do remember thinking to myself when I installed a set in my 68 C3 that the material reminded me of the core seal in my 68 442...just brainstorming. Steele sells the masticated rubber in sheets, or they did a few years ago when I bought some. 50! Thats how many a 65 has?